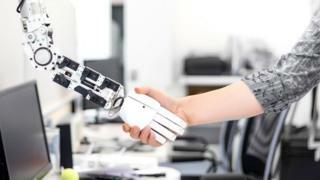 Funding for research into robotics and a next-generation 5G mobile network, has been announced by Chancellor Philip Hammond as part of his Budget. He also promised more money to support the development of driverless cars and electric vehicle batteries. The funds for the hi-tech research come from the National Productivity Investment Fund (NPIF), which was announced by the chancellor last year. However, one expert said the money was unlikely to be enough. The promises were welcomed by one robotics lecturer. "Robotics and AI is set to be a driving force in increasing productivity, but also in solving societal and environmental challenges," commented Dr Sabine Hauert from the University of Bristol. "It's opening new frontiers in off-shore and nuclear energy, space and deep mining. Investment from government will be key in helping the UK stay at the forefront of this field." The sums, however, are smaller than those announced by some other countries. For example, the US Department of Transportation proposed a 10-year plan to invest $4bn (£3.3bn) in self-driving cars under President Obama. Another academic suggested the funds were insufficient in light of competition for talent from tech companies. "We lost our best machine learning group to Amazon just recently," commented Prof Noel Sharkey, a robotics expert at the University of Sheffield. "The money means there will be more resources for universities, which may help them retain their staff. "But it's not nearly enough for all of the disruptive technologies being developed in the UK. "The government says it want this to be the leading robotics country in the world, but Google and others are spending far more, so it's ultimately chicken feed by comparison." 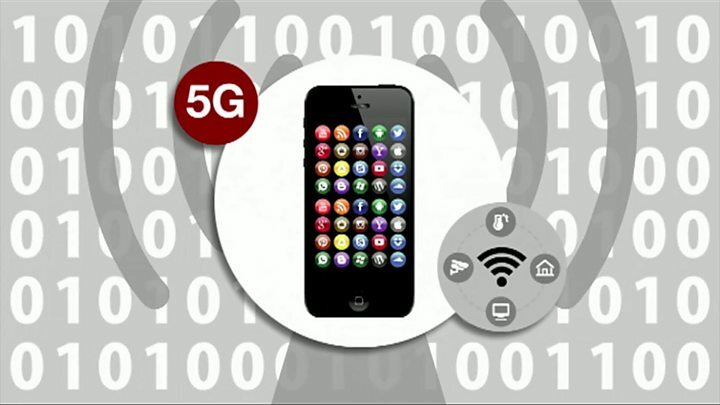 It's become an article of faith for governments around the world to say 5G will be the vital underpinning of the new industrial age. And after seeing both the US and China execute the rollout of 4G faster than Europe, ministers may feel that it's even more urgent to keep up this time. There was of course a welcome from those engaged in 5G research, notably the University of Surrey which may hope to host the £16m "cutting edge facility", with a trial network due next year. Even 5G sceptics quite liked the look of strategy which talked of improving existing coverage as well as preparing for the future. But we can have as much investment in research as we like - it's only when the mobile operators commit to rolling out new networks that the 5G age will dawn in the UK. And right now they seem sceptical that there is a sound business case for spending billions on technology for which the demand is still not clear. The pledge of support to full-fibre broadband refers to the provision of optical fibre going all the way to individual properties rather than their nearest roadside cabinet. This should provide faster speeds. Uses for the cash include a new voucher scheme for businesses to encourage them to take advantage of the possibility. In addition, the government wants there to be full-fibre connections to public sector buildings including schools and hospitals. The budget also said ducts and other public sector assets should be opened up to telecom providers to allow fibre to be laid at a lower cost. "Getting access to new digital applications over a fibre connection can be a massive competitive differentiator for businesses of any size," commented telecoms analyst Mark Newman from the ConnectivityX consultancy. "The government has at long last recognised that it can play a role building out more fibre beyond merely providing subsidies to telecoms operators. "Reducing the cost of installing fibre by giving access to ducts - digging up the roads is the most expensive single part of any broadband project - and interconnecting public buildings makes sense for everyone." The government's decision to offer vouchers to encourage businesses to sign up to full-fibre broadband sounds like a good idea. But a previous broadband voucher scheme did not go as well as expected. It was introduced in 2013 and was targeted at small and medium-sized businesses based in towns and cities. Despite the fact that the government was effectively offering free money, a year after it was introduced, only £7.5m out of a pot of £100m had been spent, with just 3,000 businesses taking up vouchers. The over-complicated application process was overhauled in 2014 and it is estimated that the scheme was used by 55,000 businesses. It ended in 2015 when funds dried up. At the time, some MPs complained that the effort had unfairly advantaged urban businesses and asked for it to be extended to rural ones. Others felt, and still feel, that money would have been better spent improving home broadband in remote areas. MWC 2017: 5G - who wants it, who’ll pay?